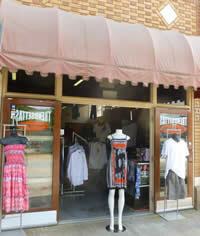 Trendsettas Apparel is lo-cated at the base of the Lofts of East Point building, just one block from the East Point MARTA train station and just down the street from East Point City Hall. 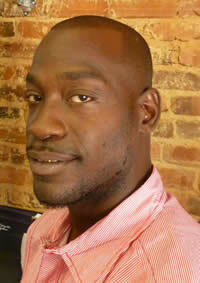 Owner, Willie Miller, opened his doors in Downtown East Point in June of 2006. Mr. Miller chose East Point because he liked the area and the friendly people. A few of the key selling points were access to great restau-rants close by, a variety of entertainment and events and the nice, small town feel of the Downtown East Point area. Ultimately, this loca-tion stood out above the other locations he considered, so he opened his business here and intends on continuing to spread roots in the community. There is always a wide and affordable selection of casual to famous maker apparel, shoes and accessories! Trendsettas Apparel primarily sells “urban” clothing with a twist. His in-ventory is ever evolving, you won’t find the same thing twice very often. His store carries everything from casual clothing and fun sun dresses and acces-sories to famous maker clothing, watches and nice shoes like Stacy-Adams!